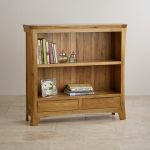 The Orrick Rustic Solid Oak Wide Bookcase is characterised by an understated rustic design with a panelled back, chamfered edges and delightfully sculpted handles. 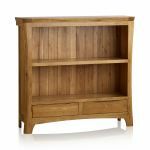 Handcrafted by expert joiners from premium grade solid oak, it's designed to offer exceptional longevity. 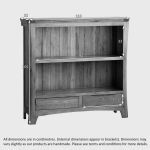 With two large shelves the unit is ideal for displaying a book collection in the living room, or files and folders in a home office. 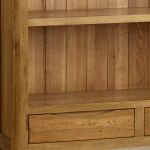 As is standard with all pieces from Oak Furniture Land, both drawers are made using traditional dovetail joints with solid oak sides, bases and runners. 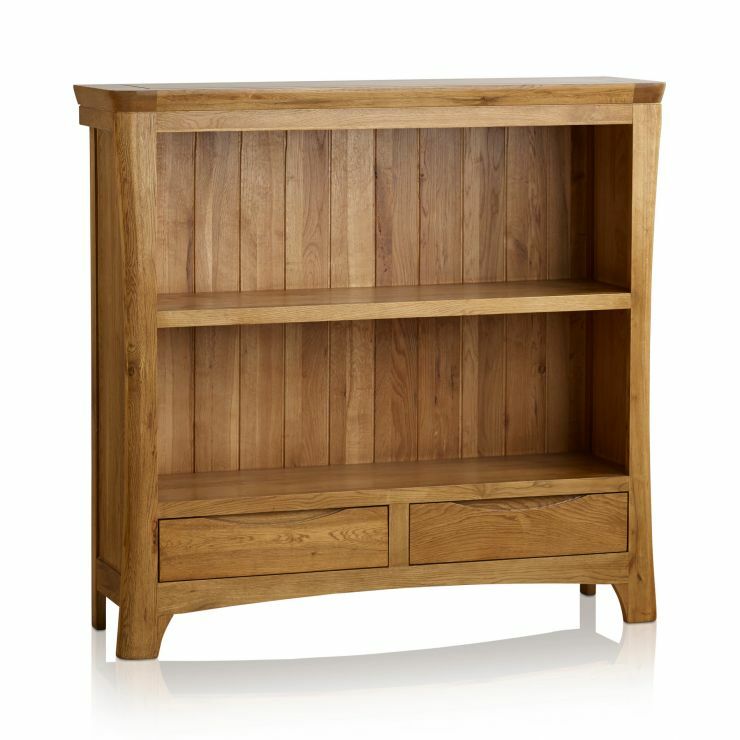 Why not check out the rest of the Orrick Rustic Solid Oak collection to discover items for every room in the home? 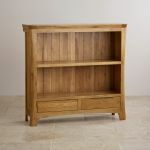 Delivery is completely free of charge and we'll carry your order direct to your room of choice.